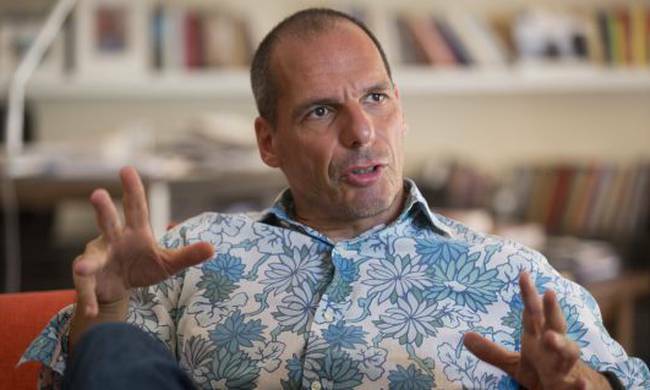 Undeterred over the controversy surrounding the new disclosures over the system of a parallel currency that was apparently considered by the government of Alexis Tsipras in 2015, Yanis Varoufakis said that he is ready to face any court to respond to the charges. Speaking in a radio show, Varoufakis, the finance minister at the time and the instigator of the parallel payments system or Plan B, said that Tsipras had a copy of the proposals from as early as 2012 when he was still in opposition. “I have handed the plan to Tsipras in 2012,” so it could become the government’s plan B if negotiations with Greece’s creditors collapsed. Mr. Varoufakis said he was willing to accept any kind of judicial investigation into Plan B and his role in drafting it. “Let’s have a special court of inquiry, or even a martial court, or any other court, so all the facts can be revealed,” he said responding to calls from the opposition for a judicial inquiry. He also attacked the SYRIZA-led government for refusing to proceed with an investigation. The Varoufakis Plan B for the Greek economy in the event that the country clashed with creditors and went bankrupt was to partially pay civil servants with coupons. Parts of the plan were revealed last week by his financial advisor Glenn Kim.